Sergio Pininfarina was born in Turin on September 8, 1926. He graduated in mechanical engineering from the Polytechnic of Torino in 1950, then he began his career in the family firm, Carrozzeria Pinin Farina; in 1960, he undertook the responsibility of General Manager of the firm; in 1961 he became also Managing Director and in 1966, at his father’s death, he took over the Chairmanship of the Company; in 2006 he became Honorary Chairman. In 1961, the President of the Italian Republic, Giovanni Gronchi, changed by decree the name Farina in Pininfarina. In 2005 he was appointed Life Senator for honouring the Country by high merits in the social field. Among the most significant stages of his activity in Pininfarina: from 1955 to 1958, the planning and the construction of new facilities at Grugliasco (Torino); the construction of the new Studies and Research Centre inaugurated in 1966; in 1972, the Wind Tunnel on 1:1 scale started its activities, the first in Italy and one of the few in the world; in 1979, Pininfarina took the form of an holding Company; in 1982, a new company “Pininfarina Studi e Ricerche S.p.A.” was settled at Cambiano (Torino); in 1986, a new plant in San Giorgio Canavese – near Turin – started operating; in the same year, Pininfarina successfully entered the Italian Stock Exchange; in 1986, with the setting up the company “Pininfarina Extra S.r.l.”, the Pininfarina Group enlarged its design activities towards all the areas of the industrial design, beyond the traditional one of the means of transport; in 1987 a new plant in Bairo Canavese is acquired; in 1991 “Pininfarina Deutschland GmbH” was set up; in 2002 it is inaugurated in Cambiano the new Engineering Centre; in 2003 the incorporation of the new Company “Pininfarina Sverige AB”. • Member of the Board of Directors of Ferrari S.p.A. (1969-2011). Sergio Pininfarina received numerous honours. The main are: he was appointed “Cavaliere del Lavoro” by the President of the Italian Republic (1976); Légion d’Honneur (Chevalier, 1979, and Officier, 1997), “Honorary Royal Designer for Industry” (1983), Foreign Member of the Royal Swedish Academy of Engineering Sciences (1988), Designer Lifetime Achievement Award (1991), Super Trophée de l’”Automobile Magazine” (1992), “Guglielmo Tagliacarne” award (1994) , the “Italy in the World” award (1994), the Career Award Compasso d’Oro (1995), the “France-Italie” Award (1997), “Lion d’Oro” (1998), “Trophée du design” (1998), Premio Leonardo (1999), “Head of the Century in the International Automotive Hall of Fame” (2001), the award “Torino libera” (2001), Business and Culture Award (2003), Palme d’Or du Festival Automobile International (2005), Automotive Hall of Fame of Dearborn, Michigan (2007); European Automotive Hall of Fame of Geneva (2008). He received 4 Honorary Degrees: in 1993 the Honorary Degree in Economics and Commerce by the LUISS-Rome; in 2002 the one of the Royal College of Art of London and the one in Industrial Design of the Polytechnic of Milano; in 2004 the one as Doctor of Fine Arts from the College for Creative Studies-CCS of Detroit. Sergio Pininfarina passed away in Turin on July 2 2012. Battista ‹‹Pinin›› Farina was born in Turin, November 2, 1893. 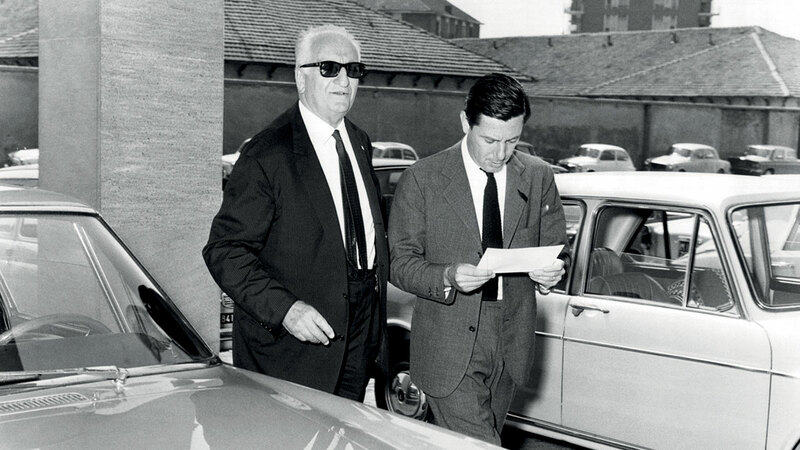 In 1961, the President of the Italian Republic, acting on a proposal made by the Minister of Justice, authorized the change of his last name to Pininfarina in consideration of his achievements in social and industrial activities. At age 11 he began working in his brother Giovanni’s bodyshop, the “Stabilimenti Farina”. During the First World War he personally supervised the construction of the “Aviatic” trainer planes, for which he received a commendation from the Office of Military Aviation. In 1920, he went to the United States to see America and judge first hand the great developments in that country. In Detroit he met with Henry Ford, who asked him to stay in America and work for Ford Motor Company, but Pininfarina preferred to return to Italy. However, this American visit was of great value, not so much for new technological information as for the glimpse of the enthusiasm that private enterprise instilled in the American people. The feverish pace of the American life impressed him and encouraged him to take up the challenge of his lifetime. In 1920, he married Rosa Copasso. They had two children, Gianna, born in 1922 and Sergio, born in 1926. Pininfarina always showed great interest in man’s tenacious efforts to develop technology. He felt drawn by the automobile and was fascinated by aeronautics and flight. In 1921 he drove the winning vehicle in the “Aosta-Gran San Bernardo” race, setting the best time for all categories of vehicles in competition, even though the car he drove was his own personal vehicle and not a racing sports model. His record was unbroken for 11 years. 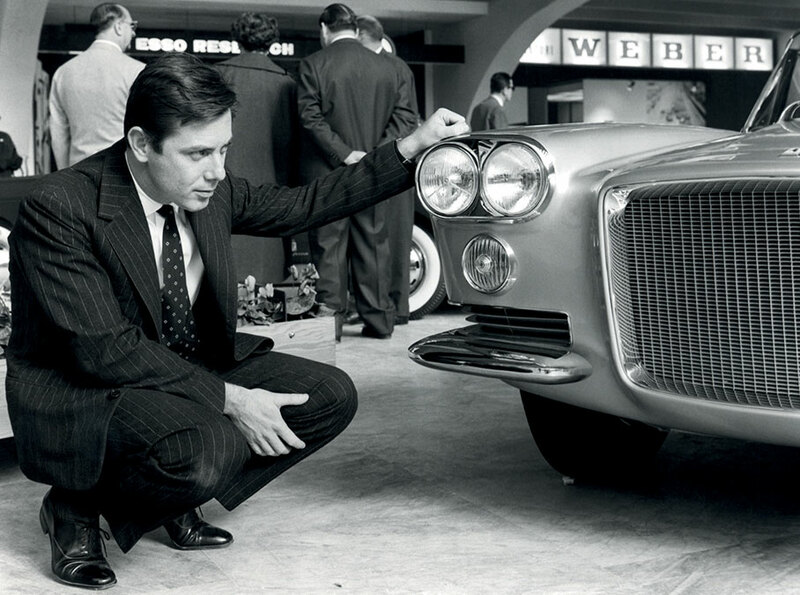 In 1930, he left “Stabilimenti Farina” and founded ”Carrozzeria Pinin Farina”. His plan was to build special car bodies, but he aimed at eventually expanding beyond the level of manual craftsmanship. He wanted to transform car body manufacturing into an independent industry, giving employment to increasing numbers of people. With this in mind, he equipped the factory with new industrial tools and procedures. In brief time he had assembled a production line able to turn out small series of vehicles at a rythm of 7/8 vehicles per day. Even before the Second World War, his plant in Corso Trapani had produced car bodies of revolutionary design, prefiguring the lines automobiles would have in the future. Before the war Pininfarina had established contacts with foreign car companies: General Motors sought his cooperation as did Renault. The war interrupted these contacts. After the war, Pininfarina designed and produced, among other things, the 1946 “Cisitalia” shown in the Museum of Modern Art in New York as “one of the eight outstanding cars of our time”. It was defined as the best expression of simplicity and beauty of design in the automotive field. It set the standards for the post-war era automobile. Twenty years later, the Museum of Modern Art in New York would present another Pininfarina vehicle, the “Sigma”, a prototype of safety car that would receive praise world-wide and especially in the United States. Immediately after the war, several automotive manufacturers opened talks with Pininfarina. Collaboration began with the American Company, Nash Motor of Detroit (now the American Motors Co.). In 1952, Pininfarina returned to the United States for the unveiling of the “Ambassador”, which he had designed, and the ‹‹Nash Healey››, planned and built in limited series at his Turin plant. He was warmly welcomed and showered with manifestations of respect and esteem. That was the first time in the history of American automobile companies that the name of a designer became famous. In the following years many automotive manufacturers would turn to him for the planning of new models for the assembly line. In 1958, Pininfarina completed the construction of a new plant, built according to the most modern standards, covering an area of 75,000 sqm. The covered surface was 40,000 sqm. A series of subsequent industrial expansions brought the surface area of the grounds to 102,500 sqm, 50,000 of which are covered. This meant a notable increase in production and personnel. In 1961, after 50 years of activity, Pininfarina turned over the direction of the firm to his son, Sergio, and his son-in-law, Renzo Carli. This change, nonetheless, assured the continuation of Pinin’s work, since they took place as designers as well as industrial managers. Pininfarina travelled widely, made films, but above all, he dedicated his time to cultural and charitable works. For the celebration of the Centenary of the Unification of Italy, he presided over the “Fashion-Style Costume Show”, highlighting the development of man and his environment from the “belle-epoque” to the missile era. In 1964, a Professional and Recreational Complex in Grugliasco was opened. Pininfarina instigated this complex as a demonstration of his enthusiasm for all that could contribute to the cultural and professional formation of young workers. In 1966, about one month before his death (happened on April 3 1966), Pininfarina appears in public at the inauguration of the Pininfarina Studies and Research Center, sharing the occasion with the President of the Republic. Last among the many honors and tributes he received during his life, Pininfarina received the “Légion d’Honneur›› from the General De Gaulle. Over his sixty years of professional activity, Pininfarina was named “Cavaliere del Lavoro›› and “Honorary Member of the Royal Society of Arts of London” as “Honorary Royal Designer for Industry”, He was later named “Fellow” of the same Society. King Baldovino of Belgium decorated him, at the suggestion of the Union Professionnelle du Ministère des Affaires Economiques. Pininfarina was named ‹‹Honorary Member›› of the Engineer and Architect Society of Turin, which later granted him the ‹‹Premio Torino››. He received the Gran Premio Nazionale Compasso d’Oro. He received recognition from the Paris Society for the Encouragement of Research and Invention, the ‹‹Gran Croce con Placca›› of the Order of Malta, a degree ‹‹Honoris Causa›› from the faculty of Architecture at the Turin Polytechnic Institute. The President of the Italian Republic conferred upon him the gold medal for education, culture and art. Also, during his trip around the world, Pininfarina was given a golden key to the city of Detroit by its major, with honorary citizenship. ‹‹As the automobile industry has developed since 1930, Pininfarina worked on the problem of vehicle conformation. After a long period and rigorous elaboration of form, he has created the plasticity of line so influential in industrial production and in the determination of aesthetic standards for the automobile››. (Gran Premio Nazionale Compasso d’Oro, 1957). “Maître incontesté de l’aérodynamyque automobile, joint à une parfaite maîtrise de cette technique, un véritable talent d’artiste. A conçu de nombreuses formes de voitures automobiles, aussi savantes que esthétiques. D’une richesse d’inventions sans cesse renouvelés, ses créations ont marqué définitivement et mondialement l’industrie de la Haute Carrosserie comme celle de la Grande Compétition”. (Société d’Encouragement pour la Recherche et l’Invention, Paris 1961). “Since the war we have exported nearly 2,900,000 vehicles. Today we have over 150 world markets to sustain. Therefore, to adapt the normal arithmetical terms, we had to find the greatest uncommon denominator. The answer was Pininfarina”. (British Motor Co. during a seminary of industrial design, Amsterdam 1961). “Pininfarina est sans conteste le plus prestigieux des carrossiers du monde et ses réalisations sont connues et admirées par tous. Mais Pininfarina n’est pas seulement l’apôtre de la bonté, et son esprit social égale son immense génie…Gran européen, il se consacre avec son extraordinnaire dynamisme et son esprit artistique consommé a l’entente internationale et à l’amitié des peuples, considérant que beaucoup plus de choses doivent les unir que les diviser”. (Grand Officier de l’Ordre International du Bien Public. Paris 1962). ‹‹Pininfarina, world famous master of industrial design, developer of building techniques for car bodies and creator, in Turin, of the Italian style in Architecture of the automobile››. (Premio Torino, 1963). ‹‹Unquestioned master of architectonic building techniques for automobiles, Pininfarina has a perfect knowledge of this technology and of automotive aerodynamics. He has true and prestigious artistic talent, coupled with a creative imagination dedicated to innovation. Such gifts as these have enable him to create marvelously harmonious car bodies, pure in line, distinctive in decor››. (Degree ”Honoris Causa” in Architecture, Turin 1963). Renzo Carli was born in Pisa on September 8 1916. 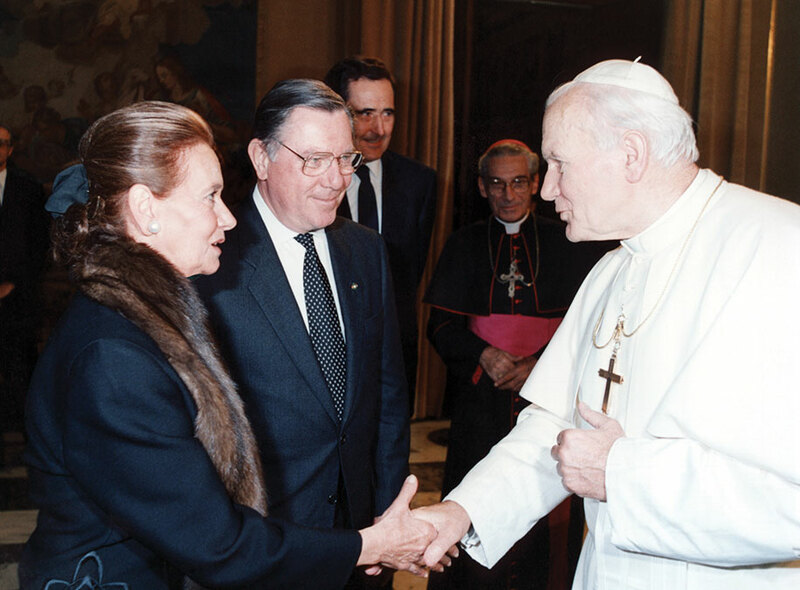 He married Gianna Pininfarina in 1947. He entered the Air Force Academy and subsequently graduated in Aeronautical Engineering from Turin Polytechnic in 1941. He served in the Armed Forces until the end of World War II. In 1946 Renzo Carli joined Shell’s Technical Servicing Division. 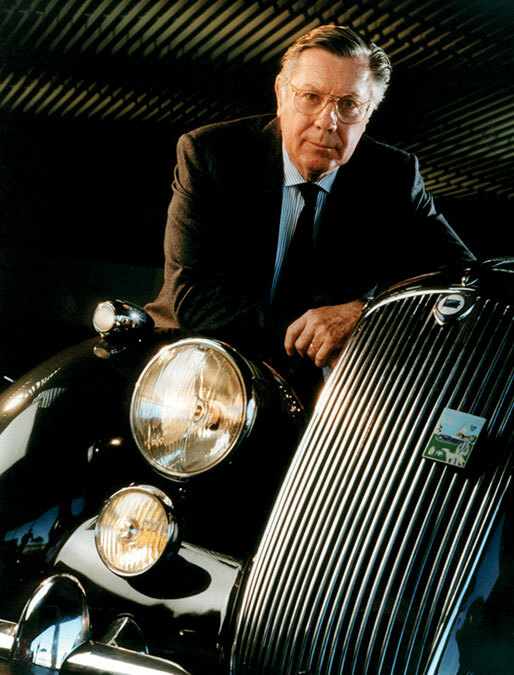 In 1948 he joined Carrozzeria Pininfarina, becoming General Manager in 1958, a position he retained until 1977, and CEO 1961. In the Pininfarina Group, Renzo Carli occupied the following positions: CEO of Pininfarina S.p.A., Director of Industrie Pininfarina S.p.A., Director of Pininfarina Studi e Ricerche S.p.A., Director of Pininfarina International S.A., Director of Pininfarina Investments and Trading Ltd.
Renzo Carli made a decisive contribution to Pininfarina’s expansion from tiny workshop handcrafting one-off models to order, or very limited editions, to its current industrial dimension in a growth process that has gone hand in hand with the boom in car ownership in Italy. ‹‹To think, draw, design and build cars is not only an enthralling mental process. Nor is it simply a business choice. It is also and above all a great social responsibility››. Andrea Pininfarina was born in Turin on 26 June 1957. He graduated in Mechanical Engineering at Turin Polytechnic in 1981 and began his working career the year after, at the Freuehauf Corp. in the United States. He returned to Italy in 1983 and entered the family firm, first as Project Coordinator, then as Program Manager. 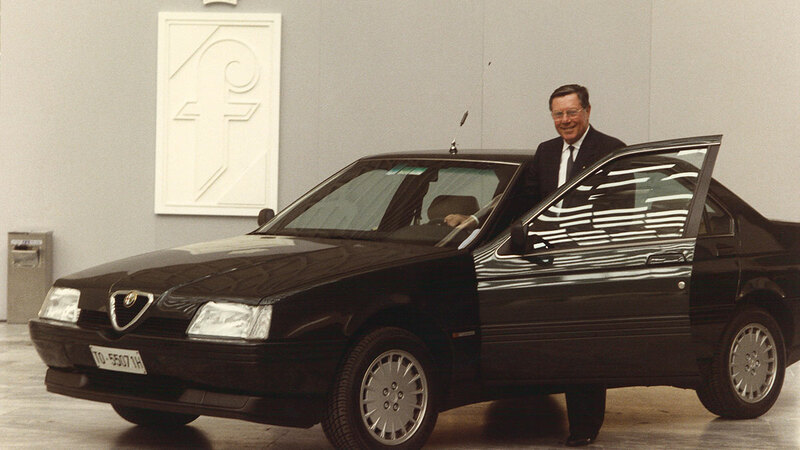 In 1987 he was appointed Joint General Manager of Industrie Pininfarina S.p.A. and a year later General Manager. 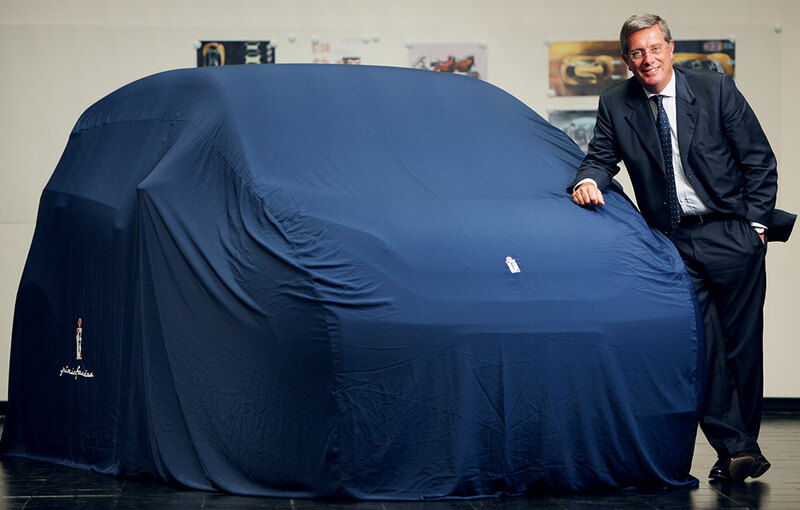 In 1994 he became Chief Executive Officer and, in 2000, Chief Executive of Pininfarina Ricerca e Sviluppo Spa. From 2001 he was Chief Executive of the parent company Pininfarina S.p.A.. In 2006 he also took on the position of Chairman. In this period, Andrea Pininfarina who, from 1997, was also a member of the Council of the Italian Manufacturers’ Association (Confindustria), joined the Boards of a number of companies and banks (Alenia Aeronautica S.p.A., Banca Passadore & C S.p.A., Poltrona Frau S.p.A.) and became Chairman of Unicredit Infrastrutture S.p.A. Between the end of the Nineties and the early years of the new century, Andrea Pininfarina held a number of institutional positions: President of AMMA – Associazione Metallurgici Meccanici e Affini (from June 1996 to June 2000), President of Federmeccanica – Federazione Sindacale Industria Metalmeccanica Italiana (from July 1997 to June 2001), President of WEM – Western European Metal Trades Employers Organization (from September 1998 to September 2000), President of ITP – Investments in Turin and Piedmont (from June 1998 to January 2003), President of the Turin Industrialists Union (from July 2000 to May 2004), President of Confindustria Piemonte (from October 2003 to May 2004), and Confindustria Vice President for the Centro Studi (from May 2004 to May 2008). Andrea Pininfarina’s career was studded with numerous public awards and honours, among which noteworthy were the titles of Chevalier de la ‹‹Légion d’Honneur›› of the French Republic (2003) and Cavaliere al Merito del Lavoro of the Italian Republic (2005). On the morning of 7 August 2008, on his way to work, Andrea Pininfarina was the victim of a tragic road accident. He leaves his wife, Cristina Pellion di Persano, and three children: Benedetta, Sergio e Luca. As chairman of Pininfarina S.p.A., witness to the continuity within the company and the unity of the family, he is succeeded by his brother Paolo. Questo sito utilizza i cookie di profilazione, anche di terze parti, per fornire servizi e proporti pubblicità in linea con le tue preferenze. Se vuoi saperne di più o negare il consenso a tutti o ad alcuni cookie clicca qui. Chiudendo questo banner, scorrendo questa pagina o cliccando qualunque suo elemento, acconsenti all'uso dei cookie.